e-foods supplies fresh produce, dairy and bakery to YHA's country-wide network of accommodation that includes 40 youth hostels. e-foods has already successfully served YHA for 4 years through its carefully managed network of local suppliers, a network that has proven capable of serving even the most difficult to reach sites. The shared values of supporting the local economy through local supply, an area that e-foods is expert in, cements the relationship. YHA use e-foods' e-live online system that dramatically simplifies supplier administration with an end-to-end ordering, invoicing and payment solution. The system allows YHA to enjoy the benefits of local supply without the paperwork mountain and costs associated with managing such a large network. John McGrath, Head of Enterprise & Procurement for YHA (England and Wales) said “The system allows YHA to enjoy the benefits of local supply without the paperwork mountain and cost associated with managing such a large network. Sites place one consolidated order online and have access to a wealth of information, including intergrated menu costing, nutrition and allergen data. Not only this but we've gained control of our purchasing that can be carefully monitored through the online system, a real win-win situation. 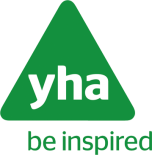 Future, long term aspirations for the YHA are to further utilise the online portal for other product categories"